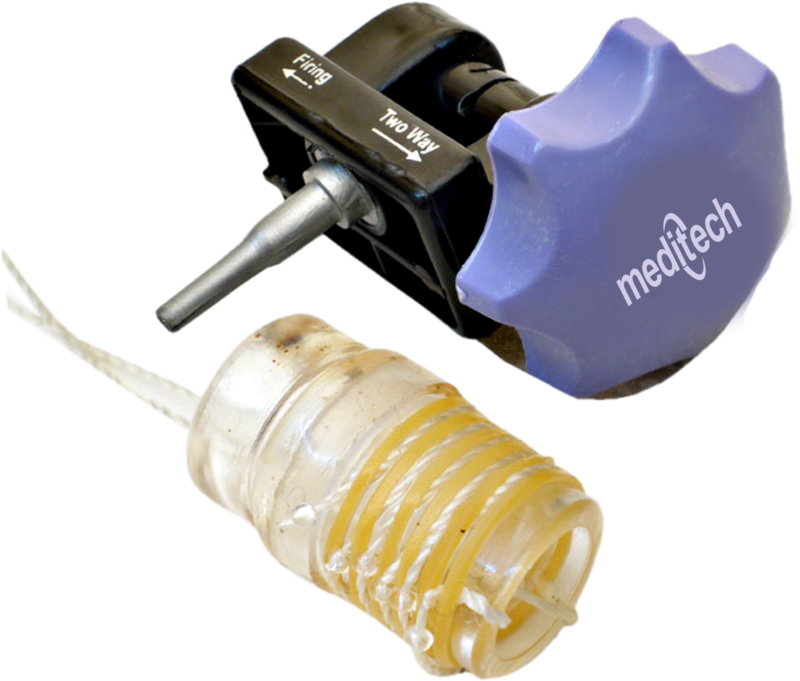 Used for Endoscopic Ligation of Esophageal Varices at or above Gastro Esophageal Junction. Fits snuggly on wide range of endoscopes. This device is supplied non sterile, individually packed – intended for Single use only. Band Ligator requires 9.5 to 11.2 mm endoscope diameter. Flushing Needle blend tip x1 pc. Barrel with 6 loaded Bands available individually. Second last band with different colour.